It's no secret that starting your day with a healthy breakfast benefits your overall health. But if you're serving the same breakfasts every day, it can get boring. Add more variety to your morning routine with vibrant and flavorful recipes that are just as delicious as they are healthy. 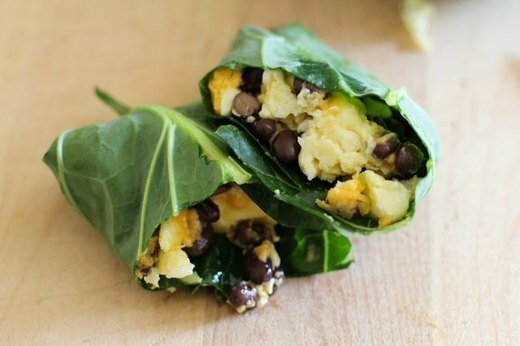 Homemade breakfast burritos prove that convenient doesn't have to mean unhealthy. We swapped out the traditional flour tortilla – which is often high in energy-zapping processed carbs – for collard greens, which are naturally low in carbs and calories. Our southwest-inspired version uses eggs, black beans, cheddar and avocado, but you can customize it to your tastes. Try using eggs, chickpea, tomato and feta for a Mediterranean-inspired wrap. All the flavor of a mini-quiche without the work. 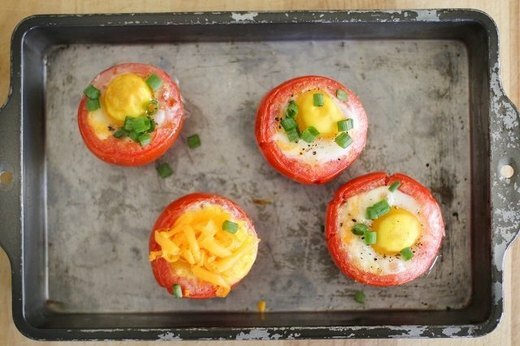 Baked eggs in tomatoes doesn't require any chopping, mixing or rolling – just scoop out the tomatoes, add a sprinkle of cheese and an egg and bake. Using tomatoes instead of crust keeps this meal low in unhealthy fat, and adds healthy antioxidants for energy and cell repair. 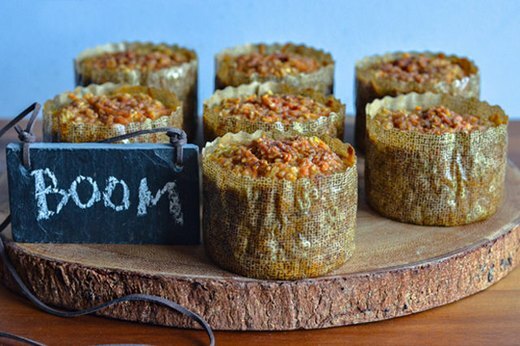 Throw them in the oven before your morning shower and emerge to find a ready-to-eat, healthy weekday breakfast. Porridge is a healthy breakfast staple, and our quinoa and apple version has added texture and crunch. Quinoa is higher in protein than regular oatmeal but still offers lots of filling fiber, so this bowl keeps you satisfied all morning. If you have time, savor each bite – the fragrant lemon zest garnish boosts your energy. Our sweet potato and oatmeal mini-casseroles can be easily prepared on the weekend for convenient breakfasts throughout the week. They are also a perfect combination of complex carbohydrates and protein, meaning you'll have clean, long-lasting energy all morning. Oh, and did I mention they are also totally brunch-worthy? Give comforting creamy oats a warm-weather makeover by letting them "cook" in the fridge overnight. We flavor our version with cardamom and berries – both rich sources of antioxidants. 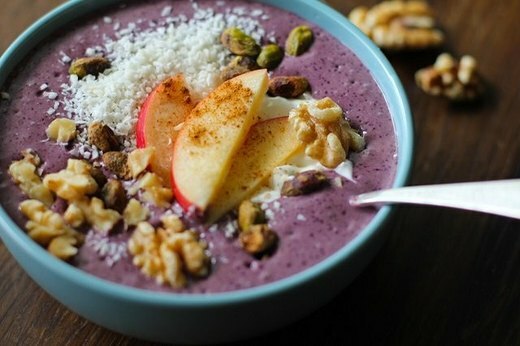 The simple mixture of oats, chia and almond milk not only let the toppings' flavors take center stage, but are also packed with fiber to keep you feeling full. Smoothies are the definition of a convenient breakfast, since they come together in just a couple minutes and you can enjoy them on the go. This smoothie packs in leafy greens to help you get your veggies, plus berries that are full of antioxidants. Bonus: it can be customized to include whatever frozen fruit or leafy greens you have on hand. 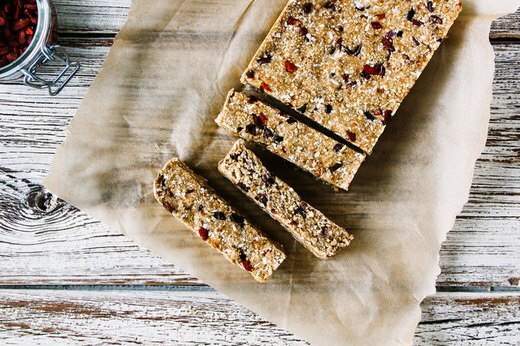 Store-bought oat bars are usually loaded with sugar and preservatives, but you can easily make a healthier version at home. Our oat bars are gluten-free, vegan and free of any refined sugar. They're also loaded with antioxidants, thanks to the goji berries and cacao. 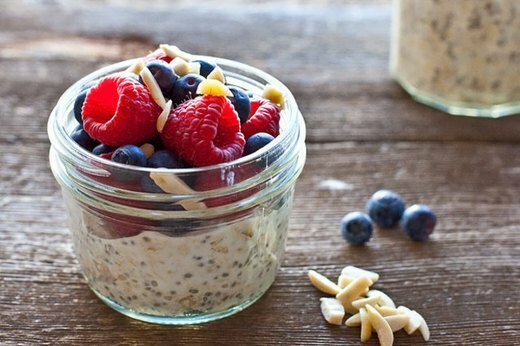 Make these on the weekend for super-convenient, healthy breakfasts all week. 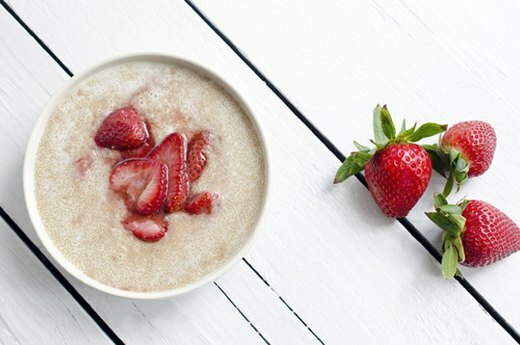 Give your porridge an upgrade by replacing oats with amaranth – a whole grain that also provides high-quality protein. Roasting the strawberries enhances their natural sweetness, which gives this bowl its vibrant flavor. If you're craving more crunch, top this porridge with toasted coconut flakes or chopped pistachios. 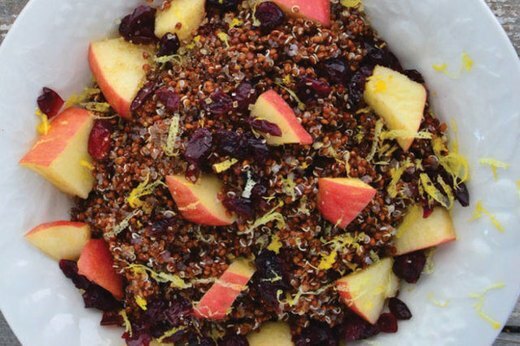 You're not dreaming – acai berries are one of the healthiest berries you can find! Rich in antioxidants, B vitamins, vitamin K and fiber, this energizing fruit can also help aid weight loss. The best part is you can really customize these bowls to whatever flavor you're craving. Mix it with cacao and banana for a rich, chocolatey flavor or go for a tropical taste by adding cut up mango, pineapple and shaved coconut meat. The high-quality protein in eggs means they're filling and energizing, which makes them perfect for breakfast. 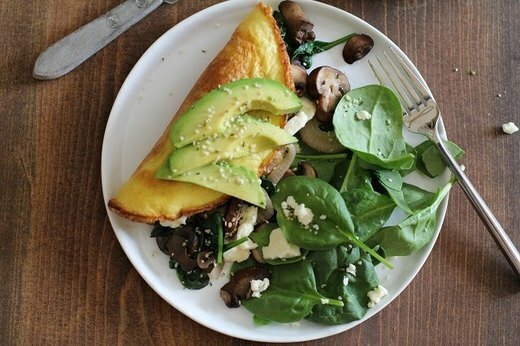 We put a healthy twist on a traditional omelet by adding hulled hemp seeds, a natural source of healthy omega-3 fatty acids.